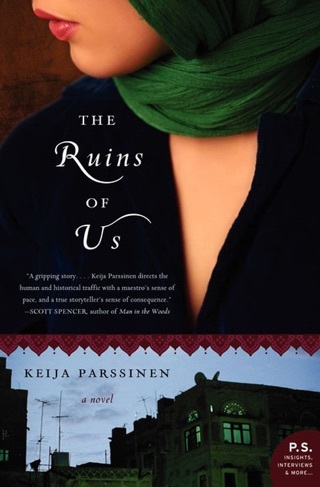 Parssinen follows up The Ruins of Us, her debut, a portrait of a Saudia Arabian family in turmoil, with a less-nuanced tale of extremism, this time in Port Sabine, a Gulf Coast town redolent of "swamp rot and refinery gas." Contributing to the miasma-like atmosphere are factors environmental and moral. As Port Sabine's refinery spews noxious fumes into the air, the discovery of a baby's corpse in a dumpster unleashes a pervasive sense of unease. Soon the town finds itself in the grips of religious fundamentalism, witch hunts, misogyny, and a "mass psychogenic disorder" in which girls lose control of their bodies. 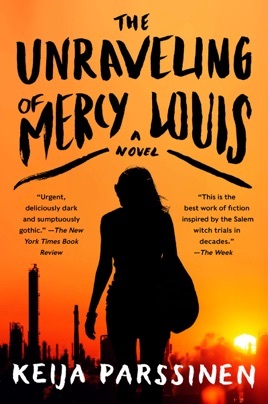 At the center of it all is Mercy Louis, a seventh-generation Cajun and star basketball player who was abandoned by her teenaged mother as an infant. She is raised by her grandmother, Maw Maw, a zealot who demands that Mercy, tainted by her supposed "weak blood," be "twice as good as other girls." Enamored of Mercy is Illa Stark, a shy photographer whose mother has never recovered from injuries sustained in a devastating refinery explosion. Mercy's and Illa's respective family dramas and sexual awakenings are nicely drawn, but the surrounding characters fanatics, slimy energy executives, and poetry-spouting boyfriends tend to be two-dimensional and the dialogue occasionally melodramatic. Despite some beautifully eerie touches, Parssinen's combustible mix of Bayou gothic, morality tale, and coming-of-age story never quite ignites.